WE at DB Sports Tours pride ourselves on providing the best and most exclusive opportunities for Irish athletes – and our latest competition is no exception. 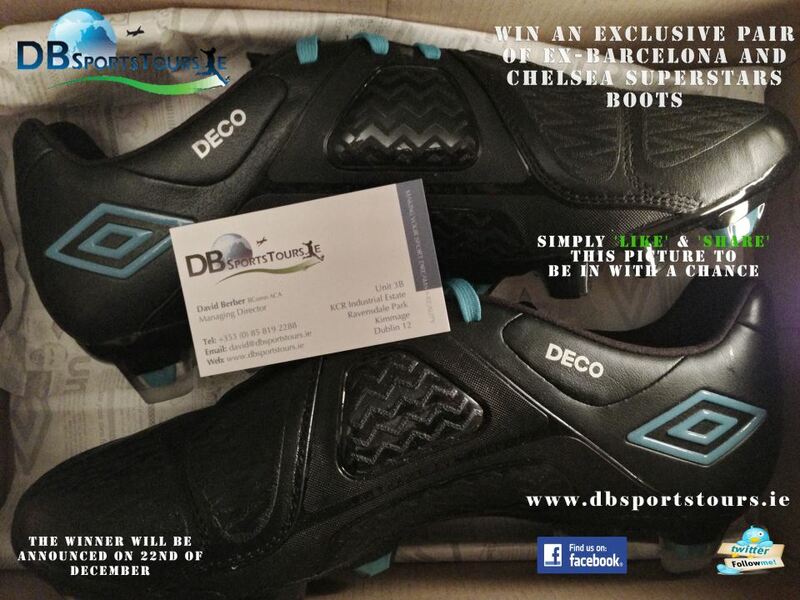 To kick-start what we hope will be a long line of similar prizes given out in the coming months, we have an incredible pair of authentic Deco worn football boots to give away. Unlike anything you can buy in the shops, these size 7.5 Umbro football boots are not only of professional quality – amateur players only have access to copies in the shops – but were actually worn by Champions League winner and Portugal international Deco. A two-time European Cup winner with Porto and Barcelona, Deco has also played for Chelsea and represented his country at the European Championships and a World Cup.